Ninety percent. That’s the estimate of Muslims living in Marawi - the Islamic City, and the capital of Lanao del Sur. The okir-designed concrete KM O marker, the original reference point of all roads in Mindanao, robustly stands in the city. If most parts of the Philippines boast of churches and bell towers, Marawi’s skyline is dominated by domes and minarets. Locals thriving here have profound respect for Islam and their heritage. 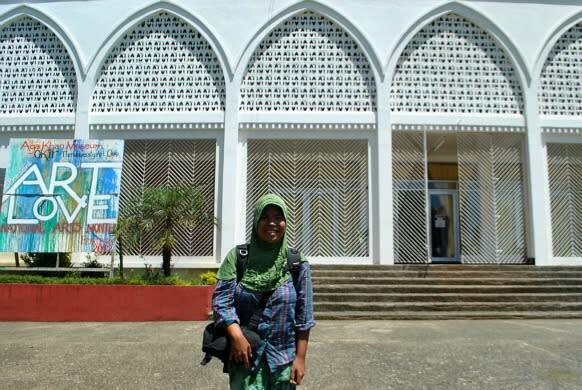 A place stereotyped harshly, Marawi like the rest of Lanao del Sur, rarely sees tourists. But it attracts a few visitors who have great interest in authentic Maranao arts and culture. Although it is highly recommended that you get a local contact to accompany you when touring downtown Marawi, there is an area that is relatively safe for tourists - the Mindanao State University (MSU) Marawi Campus. First timers in Marawi often find their way to MSU. If you plan to stay overnight here, then you can either stay at MSU dorm for as cheap as Php 250 or the torogan-inspired Marawi Resort Hotel. Otherwise, you can do a day tour since the Islamic City is easily reached by van or jeep from Iligan. 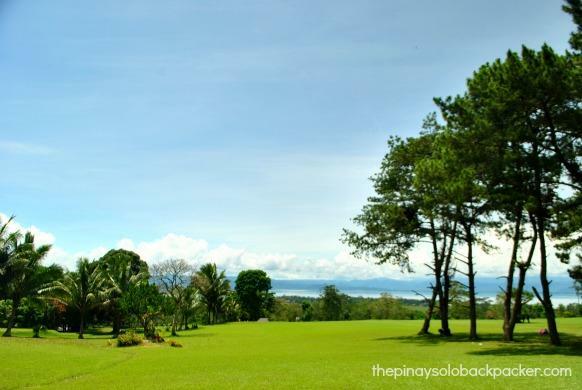 When in MSU, make sure to visit the golf course with a splendid view of Lake Lanao but for the best view head to Angoyao Hills in Brgy. Sogod. Lake Lanao is the second largest lake in the Philippines and included in the list of a few surviving ancient lakes around the world. Also worth checking near the MSU golf course is the beautiful Aga Khan Museum. This white building showcases indigenous Maranao arts and cultural material, miniature torogan replicas, Muslim grave markers, okir designs, and dadabuan (towering wooden carved drums) among others. The green mosque King Faisal Mosque is also located inside the campus. I’ve already visited the ARMM (Autonomous Region of Muslim Mindanao) provinces like Basilan, Sulu and Tawi-Tawi but I have never seen a place in the Philippines dominated by Muslims until I entered Lanao del Sur. Although I was already sporting a conservative outfit, I still felt the need to wear my hijab, given to me by a Tausug mother back in Rio Hondo, so I can blend in. When touring Marawi, be respectful of the Islamic culture, dress conservatively. The locals are not used to shutterbugs so always ask permission especially if you are taking a portrait of people and mosques. “Come to think of it, how will you feel if a stranger suddenly photographs you or your house without asking permission?” a friend asked. From the van station, a multi-cab that takes passengers downtown will pass by the New Capitol Central Park. Towering flagpoles welcomes every visitor. I saw a couple of military manning the area, and I asked permission to take a photo of the capitol and the dazzling golden mosque. 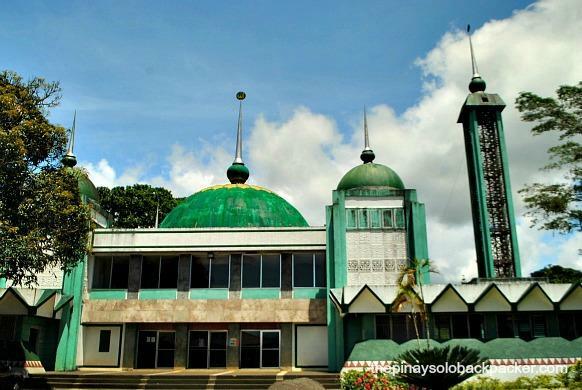 Other equally imposing mosques can be found in downtown Marawi known to locals as Banggolo. 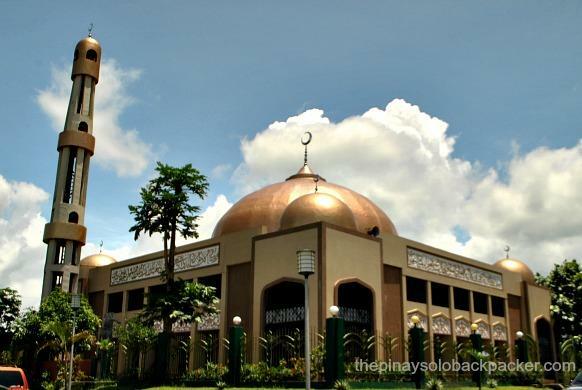 The Ma'ahad Marawi Mosque and the Islamic Center Mosque dominates the commercial hub. A visit and shopping to the local market called Padian in Bangggolo should also be added in your Marawi itinerary. This place is overwhelming with colorful textiles, Malong, hijab and dry goods. The village of Dayawan is home to a few remaining authentic torogan, a traditional ancestral house of upper-class Maranao. It is characterized by steep roof, ornate panolongs and massive log pillars. 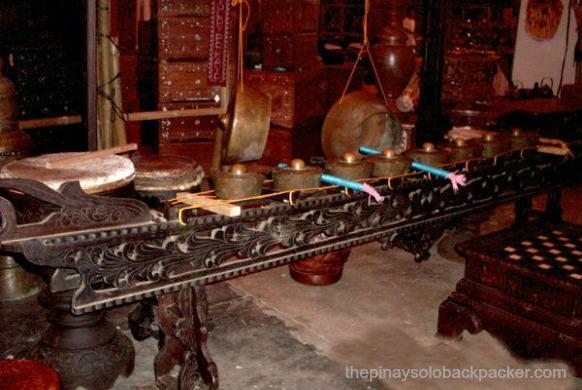 The poorly maintained 19th century Dayawan Torogan was declared as a National Cultural Treasure.